Universal Background Screening is pleased to offer the Guardian paperless Form I-9 electronic compliance system through our strategic alliance with LawLogix. Guardian makes online preparation and storage of your I-9 Forms simple and virtually error free. 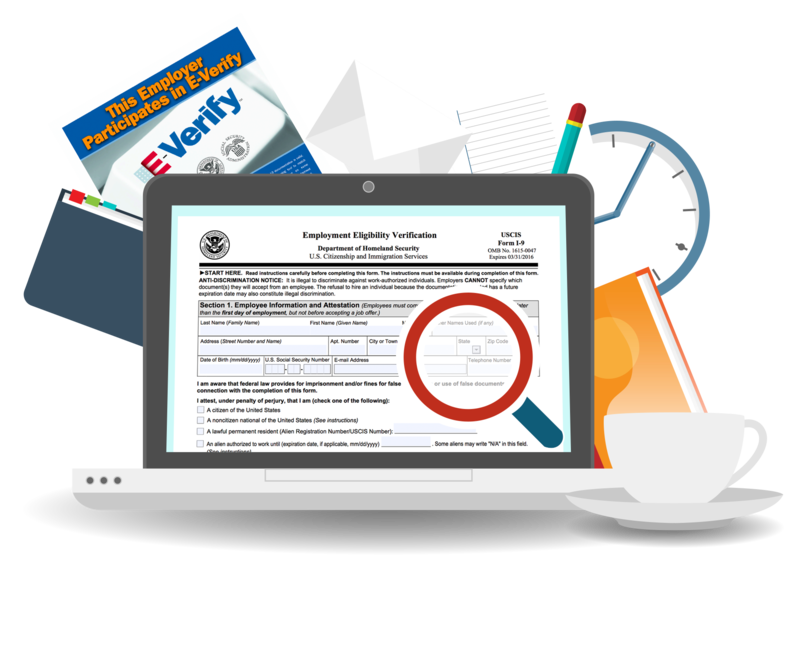 Included at no extra charge is an optional, seamless interface between Guardian and E-Verify, which streamlines the process of submitting employee data to E-Verify without having to re-enter Form I-9 data into a separate system. LawLogix is a federally approved E-Verify Designated Web Services Agent which substantially facilitates complying with E-Verify legislation such as the soon-to-be-enacted federal law mandating participation in E-Verify for all federal contractors (pursuant to Executive Order 12989), as well as the ever growing list of state mandates requiring the use of E-verify for employers. For more information about electronic Form I-9 and E-Verify services, please contact us.